You might have heard us talk about our unique approach to studio time here at The Noisefloor. 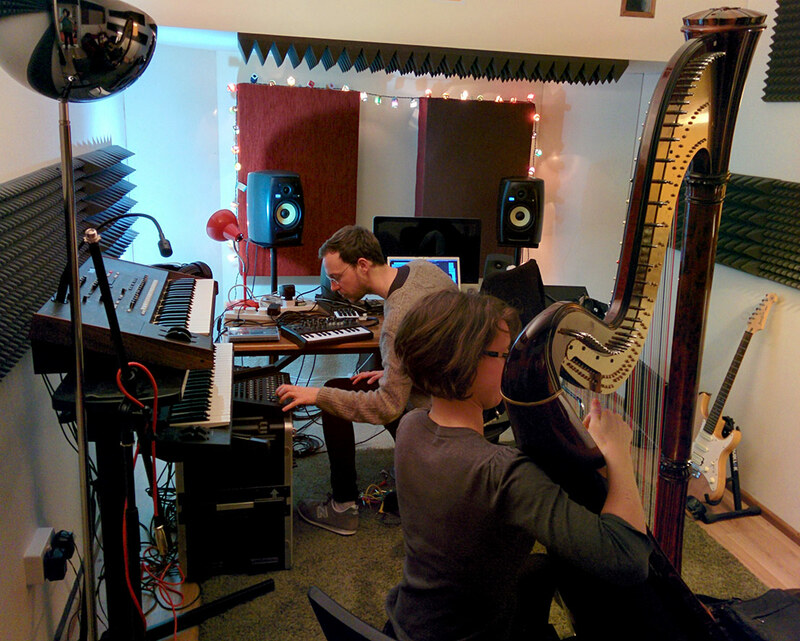 Perhaps you’ve wondered what, exactly, is so different about our Edinburgh music studio. If so, read on as founder Dave House explains his inspiration. What is already out there in music studio land? 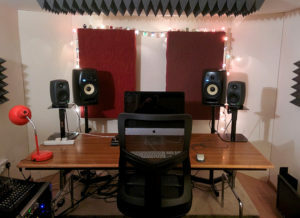 Traditionally, there are two setups available to those working with sound: the recording studio and rehearsal space. Rehearsal spaces are tailored toward bands and provide drum kits, amps and microphones. The rooms have basic acoustic treatment and a bit of soundproofing. A traditional recording studio is generally tailored toward instrument and voice recordings, with live rooms and a control room. If the recording side of things isn’t needed, the resident experts can take on production work in the control room. Of course such businesses provide essential services and there are many fine options to choose from. However, neither model fully fits my needs. I primarily make solo electronic and ambient music as well as doing some mixing and production work for other people. I also create interactive sound art installations and make foley (sound effect) and voice recordings. In order to work effectively, I need long sessions in a soundproof space in which problematic frequencies and echoes have been eliminated. Like most people I have a laptop loaded with my software of choice, as well as sound libraries and project files. I need to plug into an audio interface (sound card) which is connected to high-end monitor speakers and a sub-woofer so I can hear exactly what’s going on. Ideally I need access to a range of microphones and effects units. Looking at the traditional music studio options mentioned above, rehearsal spaces don’t provide the necessary equipment or the level of sound isolation that I require. I can’t plug my laptop into a guitar amp in an echoey room! Conversely, most recording studios are surplus to requirement: I don’t often need a full recording room or the help of an engineer as I’m (mostly) technically proficient! It’s the control room that I need, but hiring a control room separately is problematic as it’s the heart of the studio and therefore required for on-going work. What options does that leave me, as a solo audio practitioner in need of a work space? I could build a home music studio, but a professional setup requires a huge investment plus there might be neighbours, partners, kids or housemates to consider. Also, unless you own your home it’s unlikely that you could make the necessary structural modifications. I could put myself on the waiting list for an artist studio space. Again, though, there is the sound pollution issue – with people working all around you it’s likely that you’ll disturb them and be disturbed yourself. Such spaces are perfect for many types of creativity, but sound is problematic. So if recording studios, rehearsal rooms and artist studio spaces don’t fit the bill and a home studio is unfeasible, then what? The physical process of building the studio is covered elsewhere in this blog but in the next post I’ll discuss the thinking behind the various ways you can use our facilities, including our Membership schemes, Pay As You Go accounts and On-Demand sessions.